Ever feel like people you elect to a local office, like alderman and trustees, don’t represent you? How about School Board members? Who do they work for? In District 87 the people you elect to represent you don’t work for you. Does the Board use this power? What does the Superintendent tell the Board? Everything – or want he wants them to know? He provides them with a “summary”? A summary that’s his opinion? The School Board is ELECTED by you. 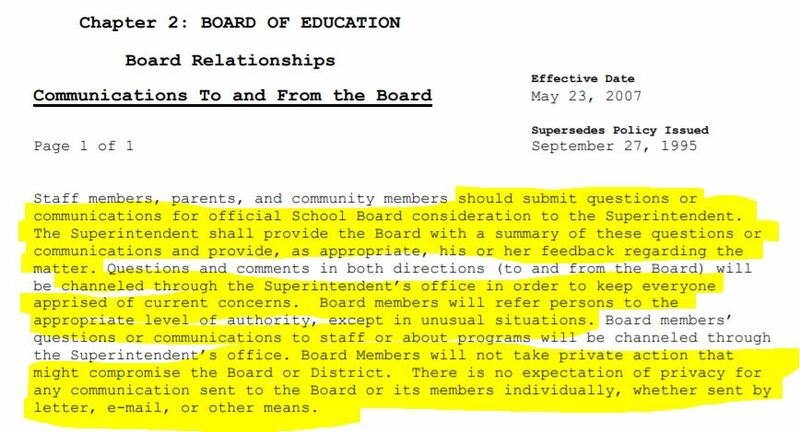 They are YOUR representatives, but according to District 87 policy – you aren’t allowed to talk to them! Does that mean listening to anybody who isn’t the Superintendent? I can think of very FEW teachers who inspired me, most were just okay – some should never have been in a classroom. I am appalled the School Board failed Marc Tiritilli and the students he inspired. Kids deserve teachers who inspire, especially in stem courses everybody claims we need more of. If Barry Reilly had a problem with Marc trying to save the district money, I have a BIG problem with him. If the School Board was nothing more than bobble-heads believing what they were told, I have a BIG problem with them. Money to government is power. They always need more. If Marc was fired for “bucking the system” to save money, where else are they wasting money? Evidently you aren’t allowed to ask the people YOU ELECTED! Posted in BloNo, Bloomington, elections, Liberal Media, Local, Progressives, Taxes.Tagged Barry Reilly, District 87, District 87 School Board, Marc Tiritilli.